It’s a great time to be alive for comic book fans. With CBM popularity reaching its zenith in the last decade or so, movies based on comic book heroes and antiheroes are getting released almost every month. Armed today with the correct tools and technology, filmmakers are pushing the envelope in terms of technique and storytelling, intriguing and connecting with even non comic book readers, while the charm of the original classics lives on. If nothing else, we all know how CBMs have proven to be incredibly fun outings at the cinemas! DC Comics, home to the extremely popular hero figures Superman, Batman, Wonder Woman, The Flash, Green Lantern, Aquaman, Cyborg et al, recently started developing its own shared universe on film. While it’s off to a somewhat bumpy start, I believe it will eventually grow, and deliver on all grounds. Apart from its main universe, DC has also successfully produced a few movies based on comic books published under ‘Vertigo’, an alternative publication house functioning under DC as the parent company. With ‘Justice League’ slated for release this November, fans await with bated breath as a childhood dream of every DC Fan breathes on screen. Meanwhile, here is a list to run you through the best DC (And Vertigo) properties put to screen, ranked, including both Animated/Direct to video and Live Action features. Read on .. the list of best DC movies of all time. ‘Batman Returns’ Is Tim Burton’s second outing with the caped crusader following ‘Batman’ released in 1989, with Michael Keaton donning the cape and cowl one last time before being replaced by Val Kilmer in the next film. The film has some great production design at display, and Burton’s signature style of storytelling. 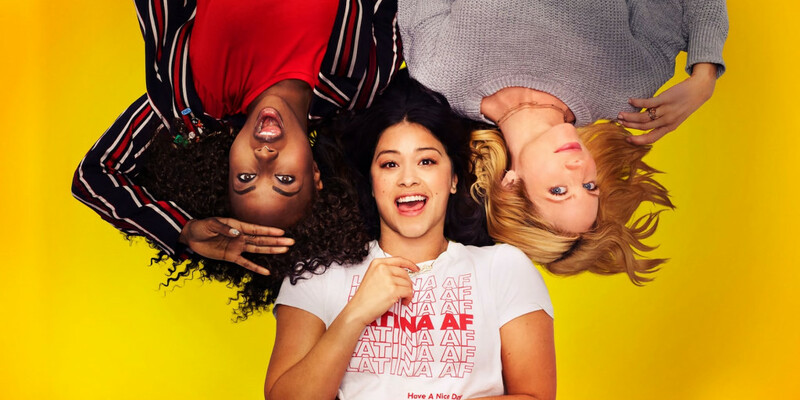 It is, for the most part, a visual treat and a fun film to watch, before the franchise completely derailed into the unintentionally funny category with ‘Forever’. There are, however, two things for which I am most grateful to this movie: Michelle Pfeiffer as the femme fatale Catwoman, and Danny DeVito as The Penguin, giving us two of the most deliciously twisted portrayals of characters from the Bat’s rogue gallery. ‘Returns’ felt like a more complete film, and close to a complete realisation of Burton’s vision of Gotham. Despite Nicholson’s terrific turn as the Joker in the previous instalment, I was completely sold on the way this film tried to establish a universe of sorts, and for that reason, and being undeniably more fun, this film dupes its predecessor for #15, kickstarting our list. One word: Iconic. 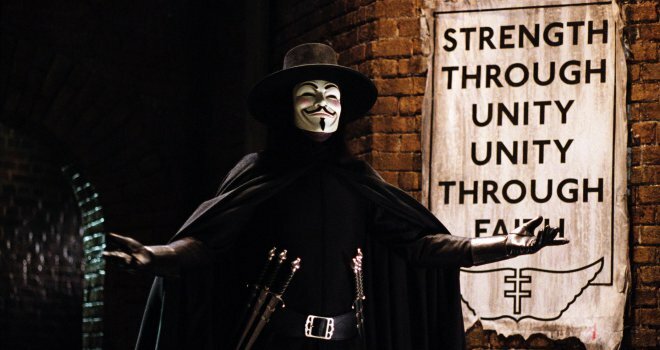 From the Guy Fawkes mask to the extremely quotable dialogues of the movie to its propagations against fascism, everything now has acquired the status of a cultural icon. Adapted by the Wachowskis from Alan Moore’s graphic novel of the same name, the film stars Hugo Weaving as V, and Natalie Portman in a pivotal role as Evey Hammond who is haplessly caught in V’s agenda. Stylishly shot action sequences, albeit violent and graphic, are among the film’s highlights apart from some great dialogues and numbing philosophies about freedom and totalitarianism. This is a film that indeed gets better with repeated viewings. 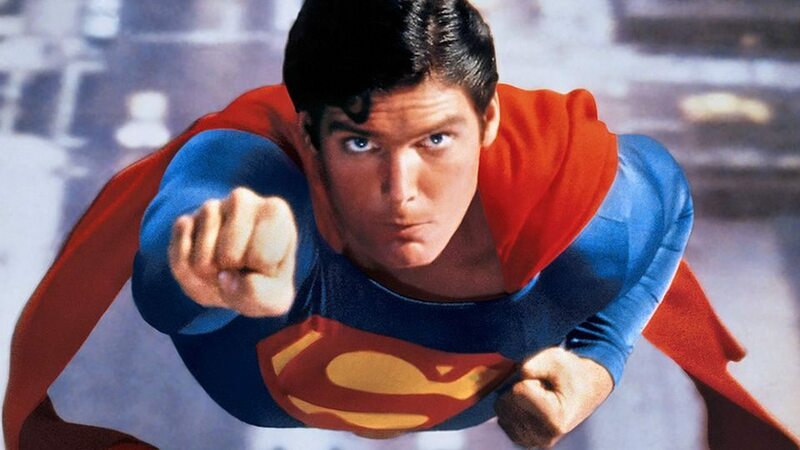 For some people, Christopher Reeves is still the definitive Superman, perfectly embodying the symbol of hope that Superman is. Ground-breaking for its time and extremely innovative in telling the origin story of probably the most beloved superhero, ‘Superman’ is awe inspiring and effective in equal measure, with the story perfectly balancing the man of steel’s origin on Krypton, his struggle as a teenager and to blend in the “real” world, and his escapades as the saviour of humanity. The film’s tagline says, “You’ll believe that a man can fly”, and it solidly delivers on its promise. One of the few good DC properties that doesn’t solely revolve around Batman and Superman. This direct-to-video animated film’s strength lies in actually exposing our greatest heroes’ weaknesses, as we watch them fight not only their nemeses, but overcoming those weaknesses as well. As conspicuous as he is, Batman actually compiles brilliant plans for immobilising each member of the League, should they go rogue. The plans are intelligent to say the least, specifically targeting physical, mental or emotional weaknesses of the members. Needless to say, they fall in the wrong hands, and the league is faced with imminent lethal dangers. How our heroes overcome that, and thwart Vandal Savage’s sinister plan forms rest of the film. However, as great as it was watching Justice League save the day again, I found myself marvelling at the ingenuity of Batman’s contingency plans more than once. A comic book victory for sure! The latest entry in the DCEU, Wonder Woman took the world by storm when it opened, simply because no one expected it to be this great. Directed by Patty Jenkins, the film broke several records on its release, and is the only positively reviewed DCEU movie on Rotten Tomatoes. While that is no criterion to judge a film, I feel WB and DC played it too safe with this film. That is not to say it’s even a mediocre film by any standard. 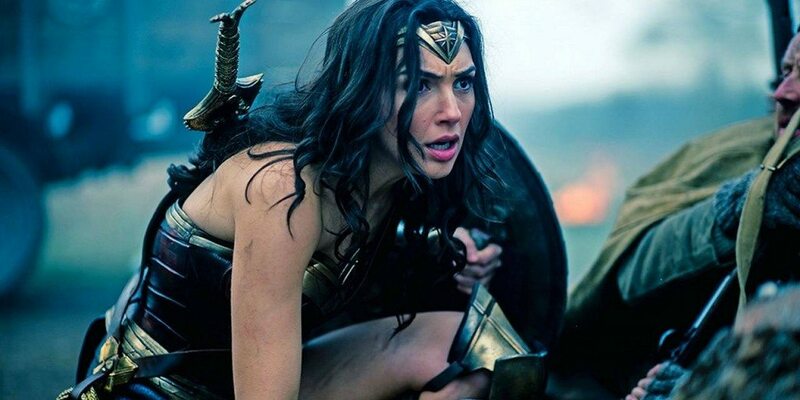 Even though it sticks to the template, Wonder Woman ensures there is a sense of wonder in even the most contrived scenes, and a bang for every one of your bucks in its action scenes. Gal Gadot is infectiously charming as the titular character, her scenes with Chris Pine’s Steve Trevor being the highlights of the film. 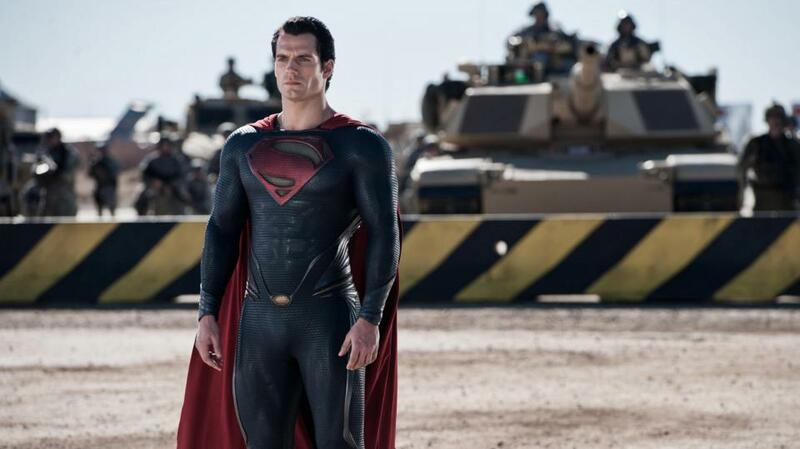 I, for one, loved Snyder’s brooding take on the character and Henry Cavill’s portrayal of the titular character. There is plenty room for improvement though, because the film suffers from some serious issues that have now become characteristic with plaguing the DCEU. But for the most part, it remains an earnest effort in tracing the boy-scout’s journey to becoming humanity’s saviour. Owing to some really powerful dialogue and moving scenes, and ably supported by the likes of Russel Crowe, Kevin Costner and Diane Lane, this is the better Superman origin story in my humble opinion, with its fair share of flaws to be honest. To add to it, I think Michael Shannon’s Zod is still better than any recent villain in superhero films since the culmination of the Dark Knight trilogy. While praising the film for what it is, I also accept that most of the complaints with the movie are somewhat justified. The destruction is a handful, and the pacing is uneven. But I couldn’t hold on to my seat the first time Kal-El takes flight, in his newly acquired suit, accompanied by Zimmer’s brilliant score. One or two movies down the line, this will be the Superman we all know and have grown to love. It will get there. Nolan loyalists will probably have me by the noose for placing TDKR so low on the list, but it is what it is. The film has a grand vision, and serves as a satisfactory conclusion to one of the best trilogies of all time. While it has been repeatedly stated it is not a bad film by any measure or means, it just falls short of the glory it was supposed to achieve. Shortcomings aside, the film, as described in one of its reviews, is “a superhero film without a superhero”, and I couldn’t agree more, for it exposes a more vulnerable side to the caped crusader. Courtesy of some powerful writing, we see our hero fall, and rise in spectacular fashion to fulfil his destiny as the Knight of Gotham City. The prison escape scene, the “Knightfall” sequence and the last five minutes of the film are undoubtedly the best moments of the film. For anyone wishing to understand what Snyder’s filmmaking is about, this is the place to start. The best ‘comic book adaptation’ there is in my opinion, the film is completely faithful to its source material (Well, almost, except for a few tweaks here and there) and has undeniable visual flair and style. ‘Watchmen’ has Zack Snyder written all over it, with his stylised violence and trademark slo-mo shots aplenty. While the characters can be owed to the graphic novel it is adapted from, the casting is spot on, with Billy Crudup as Dr. Manhattan, Patrick Wilson as Nite Owl, Jeffrey Dean Morgan as The Comedian and Jackie Earle Haley as Rorschach, especially Rorschach. It’s a different kind of superhero film if you have the taste for it. However, I would highly recommend watching the Ultimate Cut, with the animated ‘Tales of The lack Freighter’ incorporated. A movie that has been done great injustice in my opinion. Fan servicing at its finest, the movie boasts of some of the greatest superhero moments to be put to screen. Featuring iconic storylines including The Dark Knight Returns and Death of Superman story arc, the movie is full of comic book references and easter eggs for those who are looking. BvS managed, questionably though, the mammoth task of pitting these two comic book giants against each other, while introducing Wonder Woman and assembling the Trinity on-screen for the first time. The cinematography and score by Zimmer is expectedly A-rate, and action sequences, elaborate and gritty. This movie will be a cult classic in times to come, mark my words. I agree that it may not have been a good film, but it was an awesome comic book film. The Ultimate Cut fixes a lot of the issues this movie initially had, although I still feel that there could’ve been a ton of ways to end the final conflict instead of the contradictory “Martha” scene. 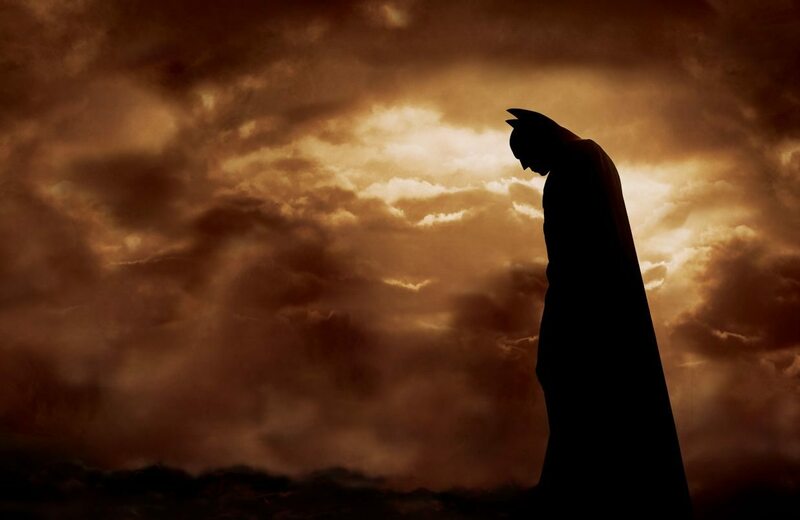 Perhaps the best superhero origin story out there, Batman Begins successfully rebooted the Batman franchise and washed off sore memories of Schumacher’s earlier versions, while putting Nolan out on the commercial front. 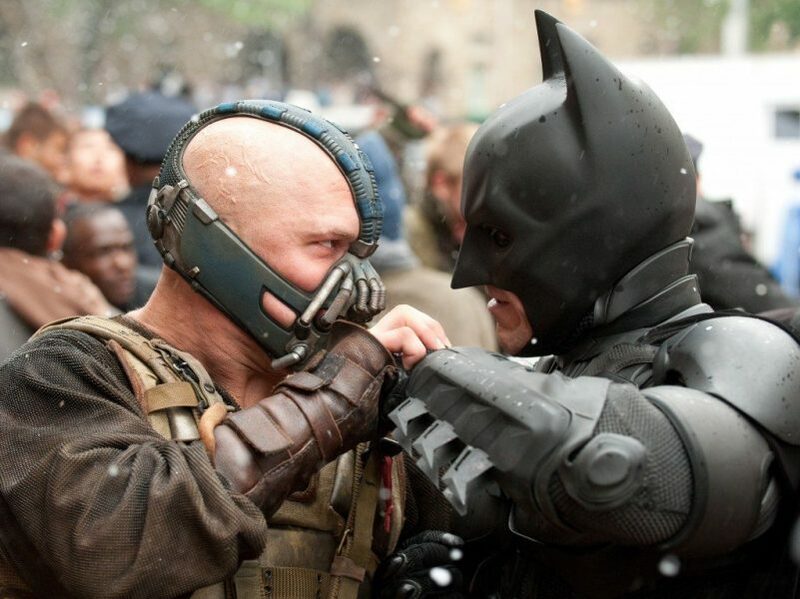 Starting with this film, Nolan showed to the world that superhero movies weren’t all campy fun; he introduced gravitas, moral conflicts and rooted his films in realism, and coupled with his vision and directorial prowess, his outings with Batman would go on to become one of the best movie trilogies of all time. This movie covered something that the earlier stories completely fogged upon, and is in my opinion one of the more interesting aspects of Batman’s story. We all know how Bruce’s parents were shot dead in an alley when he was young. ‘Begins’ actually showcases the rage that drove him to take up the mantle, and subtly illustrates his journey from the spoilt prince of Gotham to the dark knight. Bruce’s training sequences, his attempts to overcome his fear and his tactical preparations for becoming the Batman are frankly the best bits of the film. 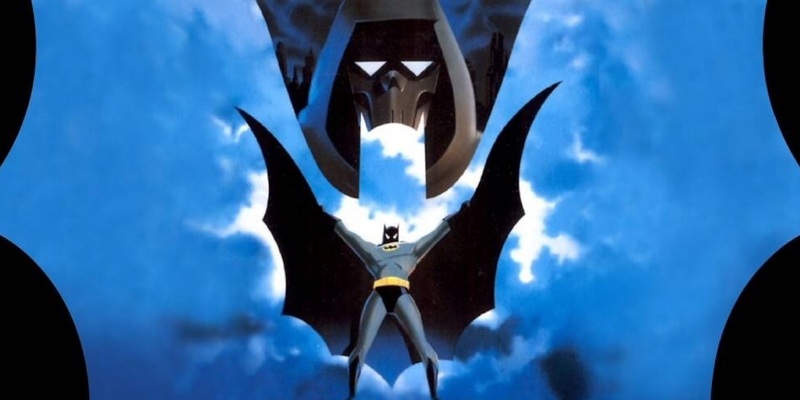 A classic in the animated movie world, Batman Mask of the Phantasm is completely based on the beloved Batman animated series, or is a cinematic continuation of it, featuring the iconic voices of Kevin Conroy as Batman and Mark Hamill as the Joker. If that isn’t reason enough to watch this, watch it for atleast two great twist-in-the-tale moments, and some really good writing. The movie also shows in flashbacks, how Batman grows to be the guardian he is in the present day, feared by street thugs as well as mob bosses, which is evident since most of the story is based on the ‘Batman: Year Two’ comic book storyline. The Phantasm is an original creation, created solely for this film, but if included in Gotham’s rogues, Phantasm is sure to rank among the favourites. The Phantasm’s unmasking towards the end of the film, the final reveal, worked big time and took me by surprise, adding to the numerous strengths of the film. This one is grittier than any other Batman film you have seen, darker and more violent. Adapted from Frank Miller’s graphic novel of the same name, it is not tough to see how big of a fan Zack Snyder is of Miller’s work, since BvS contains a number of nods to this popular comic book series, with Affleck’s character apparently being completely modelled after Miller’s jaded version of the Knight. Apart from some hard hitting and visceral action, the movie is rich in political and moral undertones too, but you won’t expect anything else when the Joker is involved. The Joker finally drives Batman over the edge and proves himself right, but you have to watch it to completely revel in the brilliance of this scene. This is a stormier knight, a jaded crime fighter, one that has indeed been brought down by all the wrongs done to him. An absolute treat for Batman fans, this one is not to be missed at any cost. This one’s an absolute blast from start to finish. 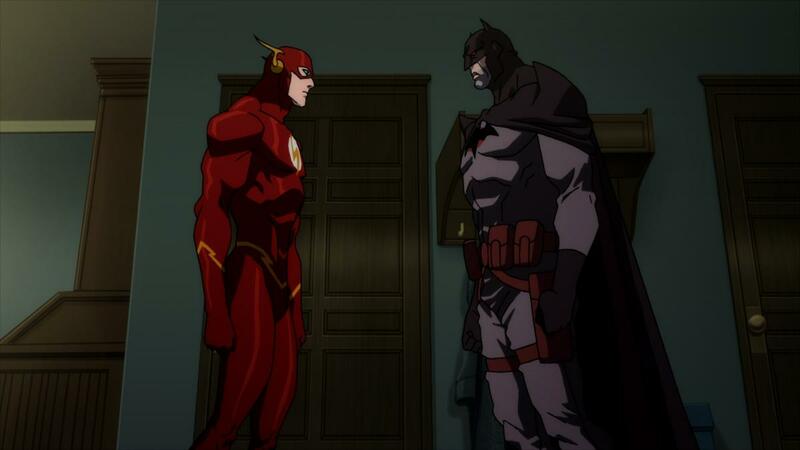 We all know the Flash’s penchant to mess up timelines, but the alternate reality this film presents is not too pretty. Barry Allen’s mother is alive, the Atlanteans led by Aquaman and the Amazons led by Wonder Woman are at war, putting the world at the brink of destruction, Thomas Wayne is the Batman while Bruce Wayne died at the hands of Joe Chill, and Superman and Green Lantern don’t have their powers yet, and thus are not involved much. This alternate reality presents a somewhat grim canvas for the league’s action, but it is immensely watchable precisely because of the alterations. The film may be titled Justice League, but make no mistake, this one is an out and out Flash film, and probably the only good one. We see the speedster as someone more than the wisecracking one in the league; his backstory, his regrets, his fears, everything is laid bare and we get to see the Flash in a whole new light. Despite everything that’s already to its credit, this film also managed one seemingly impossible task. It made Batman cry. For those who have seen it, know what power this scene holds; and for those who haven’t, watch it to find out why the Flash is “one hell of a messenger”. Christopher Nolan absolutely knocked it out of the park with this one. Redefining the superhero movie genre not too long ago with ‘Begins’, Nolan surpassed all expectations and benchmarks, establishing new ones in the process, and delivered an amazing film. A film, that will in my opinion be, for a long time, the best live action superhero movie to have been made, unless something truly ground-breaking comes along. Not really much to say that hasn’t been said about this phenomenon of a film; Nolan’s genius, Action Sequences, Great Dialogues, Amazing performances, and HEATH LEDGER, that great, great performer who breathed new life into an already iconic supervillain. Onwards now to #1. Yes, you read it right. The list didn’t end with the last entry. 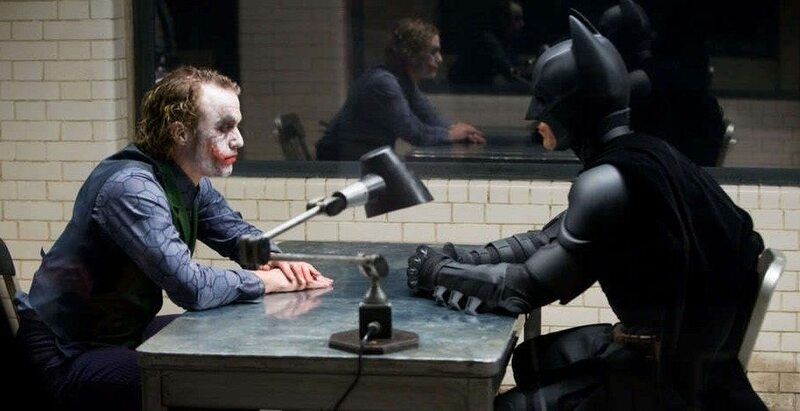 ‘The Dark Knight’ doesn’t top the list. 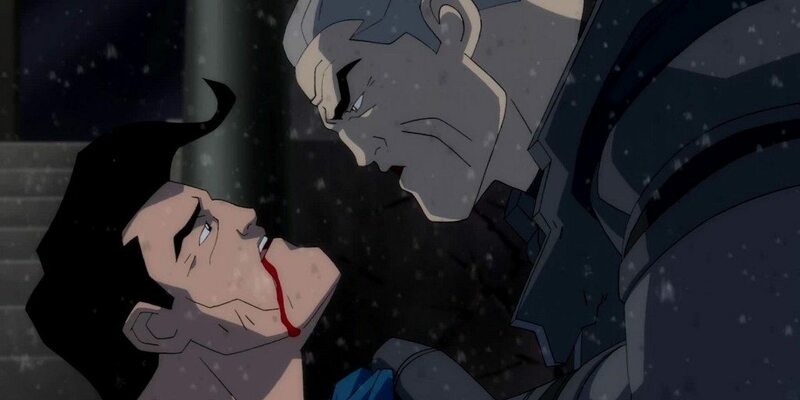 What tops the list of the best DC movies is a small, direct-to-video release based on the extremely popular “A Death in the Family” and “Under the Hood” comic arcs: Under the Red Hood. A lot of the fans would, I hope, agree with me on this one. 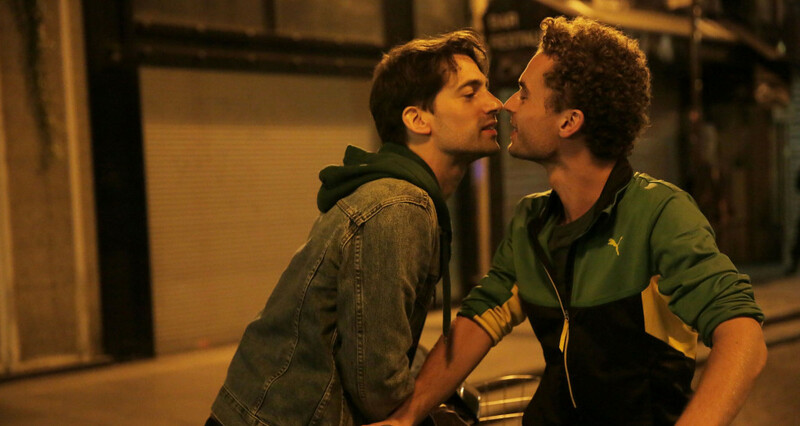 The storyline is brilliant, flawlessly executed, and most of all, heartbreaking. This movie is also notable for shedding a little light on the possible origins of the Joker, which are otherwise, mostly unknown. Following Jason Todd’s brutal murder at the hands of the maniacal Joker, Batman spends his years in regret until one day, a hooded vigilante appears in Gotham. 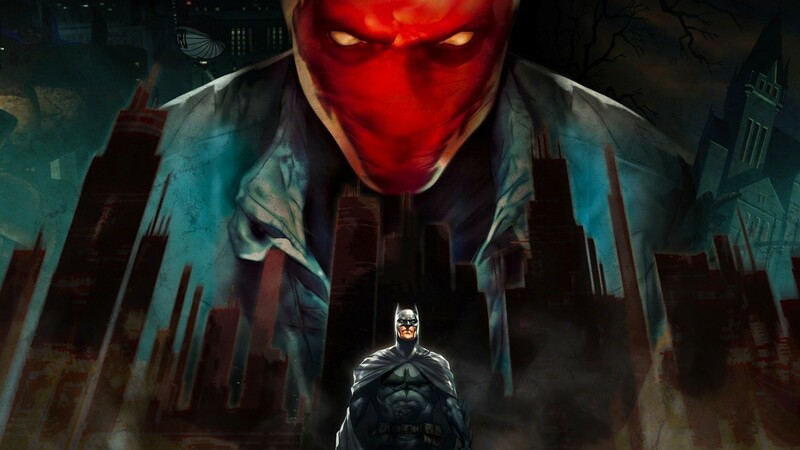 Through the chain of events that Red Hood sets in motion, Batman, Joker and the Red Hood, who now reveals himself to be Jason Todd, confront each other in what has to be one of the greatest, if not the greatest comic book movie moment ever. While Jason claims to forgive Batman for being able to save him, he admits he couldn’t ever forgive him for letting a psychopath like Joker live, even after what he did to him. Much to his amusement, the Joker enjoys the conflict and derives every bit of sadistic pleasure he can from their exchanges. 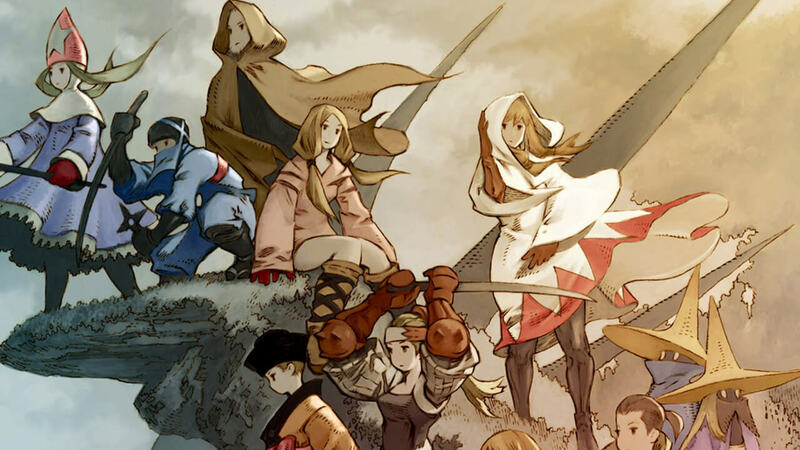 Even though the scenes were taken from a comic storyboard and animated, I have no hesitation in admitting that the movie, and the confrontation in particular were intensely captivating experiences. Certainly the gold standard for superhero films, animated or not!